Open government can be an abstract idea. We want to give people a better idea of what it is, and who is in the UK Open Government Civil Society Network. We’ve asked some existing members of the network to give us their thoughts on what open government means to them, why it’s important, where they have seen open government make a difference to the lives of citizens, and the reforms they would ask of government. We’ll be publishing a series of profiles of members of the network every few weeks, so keep a lookout! Our ninth blog is Prateek Buch, Evidence Matters. To be truly open, government needs to be more honest with citizens about how public policy is informed by reliable evidence. Where politicians and civil servants aren’t fully transparent about the evidence they’re drawing on, a vital part of democratic accountability is undermined – public scrutiny of government policy. Sense About Science stands up for sound science and evidence in the public interest, which is why our campaigns aim to change political culture so that the transparent and effective use of evidence becomes a social and political norm. Why? Because evidence matters. When policymakers use evidence well, they save money and lives – think of how the depletion of the ozone layer was arrested, or cot deaths reduced through better health advice. But too often evidence is ignored, misrepresented, or even suppressed because it’s politically inconvenient, meaning society misses the opportunity to improve outcomes. Consider how the government held controversial findings back from the public and failed to communicate risk clearly enough, during the response to the BSE crisis, or how entire areas of policy such as crime, education, welfare and immigration make poor use of evidence. Getting policymakers to open up how they’ve considered evidence, if at all, is a vital step in holding them to account – only then can we see if policies align with the public interest. Which is why we started the Ask for Evidence campaign, through which we’ve already seen people requesting the evidence behind policy claims by politicians and commentators seeking to influence them. This is a crucial way to raise public demand for the transparent use of evidence, changing expectations amongst policymakers that they could face public questions on how they’ve used evidence. Transparency around the use of evidence means more than responding to public requests. It means the open, timely publication of research that government conducts or commissions from outside experts, and ensuring that policy announcements link transparently to the evidence they’re based on. We’re already working with many organisations that recognise the value of openness about evidence at every stage in public policy, and I look forward to working through the Open Government Network to help make the government’s use of evidence more transparent. 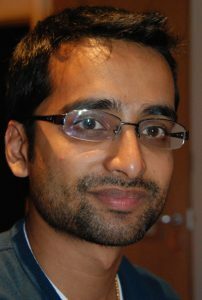 Prateek Buch is policy director of Evidence Matters, a campaign started by the charity Sense About Science to promote the transparent and effective use of evidence in public policy.